As the central feature of your face, your eyes are largely responsible for a youthful appearance. Unfortunately, the eyes and upper face often age quicker than other parts of the face, and many patients are left with sagging brows, droopy eyelids, and puffy bags beneath their eyes. Eye rejuvenation reduces wrinkles around the eyes and on the forehead, removes excess skin, and smoothes puffiness under the eyes to result in a rejuvenated and refreshed appearance. How Can Eye Rejuvenation Help Me? Premature aging often begins with the eyes and upper face, leading to a tired and stressed appearance. Eye rejuvenation is ideal for anyone wanting to reverse the signs of aging around their eyes. Depending on the extent of this aging, one or more procedures may be recommended. Also known as blepharoplasty, this procedure targets excess, sagging skin and fat on the upper and/or lower eyelids that can make you look older than you are. Excess skin and unwanted pockets of fat are removed from the upper eyelid through an incision in the natural crease. Excess skin and unwanted fat pockets in the lower eyelids that create a puffy appearance, under-eye bags, and dark circles are removed through an incision either just below the lower lashes or inside the lower eyelid. Also known as a forehead lift, this procedure targets furrows between the eyebrows, lines along the forehead, and sagging eyebrows. A brow lift can be performed in one of three ways: the traditional coronal brow lift, the limited incision temporal brow lift, or the endoscopic brow lift. For a traditional coronal lift, incisions are placed at the hairline and run from ear to ear to treat more advanced signs of aging. For a temporal brow lift, incisions are made within the hairline at the temples to treat mild to moderate signs of aging. For an endoscopic brow lift, very small incisions are made behind the hairline from the ear for discreet scarring. As wrinkles and fine lines set in, skin becomes lax, and puffy bags form beneath the eyes, you may discover that you look far older than you actually are or feel. Eye rejuvenation helps to transform a tired appearance into one that is more youthful and alert. Your emotions are expressed through your eyes. Unfortunately, when premature aging sets in, your eyes are unable to express their full range of emotions and you may look consistently angry, tired, or stressed. With eye rejuvenation, you can take back your ability to express any emotion you feel. As your eyebrows begin to droop down and put pressure on the upper eyelids, the skin on the upper eyelids becomes lax. It is common for this skin to shield part of the eye, thus interfering with your vision. This can make activities such as driving very difficult. Eye rejuvenation opens up the eyes to increase your range of vision. Some swelling and bruising are to be expected after eye rejuvenation. The swelling should begin to subside shortly after, and makeup can be worn after one week to cover any additional bruising that may still be present. It is important to rest for the first few days of recovery, as your forehead may be tight and your eyes blurry. You will most likely be able to read and watch television within a few days. Patients can return to work within seven to 10 days, and exercise can be resumed at three weeks. The cost of your eye rejuvenation will vary depending on the combination of procedures and techniques as well as anesthesia costs, surgeon’s fees, and facility fees. 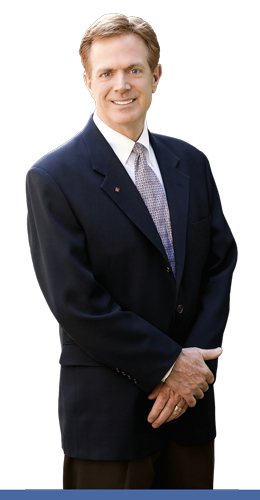 Dr. O’Toole and his staff will provide you with an accurate estimate during your consultation. Eye rejuvenation is performed under anesthesia to prevent any discomfort during the surgery. Some discomfort and tightness should be expected after your procedure, which can be remedied with oral pain medication. As with all surgeries, scarring may be present at the incision sites. The amount of scarring will depend on the techniques used. For blepharoplasty, Dr. O’Toole makes the incisions within the natural creases of the upper and lower eyelids for easy concealment. If the incision is made within the lower eyelid, the scar will be completely invisible. For a brow lift, the scarring will once again depend on which technique Dr. O’Toole uses. Dr. O’Toole works hard to ensure that all scarring is as hidden as possible, and all scars should fade with time. The results of your eye rejuvenation will show once the bruising and swelling have subsided, which can take several days or weeks. Once this happens, you can enjoy a more youthful, rejuvenated appearance and long-lasting results. Q. What are the risks associated with eye rejuvenation procedures? Q. Do I have to combine blepharoplasty with a brow lift? Both blepharoplasty and a brow lift can be performed as standalone procedures. Some patients who choose to undergo blepharoplasty do not experience laxity in the brows or forehead and do not choose to combine techniques. During your consultation, Dr. O’Toole will examine the amount of skin and muscle laxity in your face to determine which procedures or combination of procedures will attain the best results. Q. How long will my results last? The results of eye rejuvenation are extremely long lasting. Unfortunately, while the results will last for several years and continue to provide you with a more youthful appearance than you would otherwise present, these procedures will not stop the natural progression of aging. Q. What other procedures can be combined with eye rejuvenation? Some eye rejuvenation patients choose to combine their procedures with a facelift to address skin laxity, fat deposits, and wrinkles in the mid to lower face, jaw, chin, and neck. Other common combinations include non-surgical injections of BOTOX® Cosmetic or dermal fillers. Q. What are the benefits of combining these procedures? For many patients, skin laxity is present on both the eyelids and the forehead. If one area is treated without the other, it is possible for your upper face to appear out of balance. Combining procedures is the best way to guarantee that your features remain in harmony with each other.